Ethereum, being a cryptocurrency, has many similarities with our beloved Bitcoin but the blockchain that runs behind the first one is so much smaller than the latter’s one. For transactions to be completed fast, the speed in which a blockchain reads data, plays an important role. Where Bitcoin may take 10 minutes to carry out a transaction, Ethereum could take only half a minute or even less. That’s incredibly useful when it comes to gambling, and it’s the reason today we will take a look at the Ethereum-only casinos. 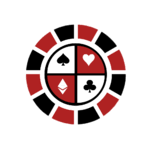 Keep in mind that we will only mention casinos that accept Ethereum alone and not any other cryptocurrencies for online gambling. 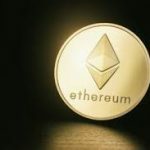 Just as previously mentioned, Ethereum is one of the most popular cryptocurrencies used in online gambling. Due to the way it’s designed, though, the selection of games may be a bit smaller. Nonetheless, it’s still respectable. The casino claims to be “the first and only ERC20 Ethereum Casino”, and in case you didn’t know – ERC20 is a built interface based on Ethereum. As soon as you visit their site, you will be presented with the home page through which you may visit the main “game” page. They have created their games based on betting using Ethereum, and it is called WAR, or Ethino WAR, which clearly has taken inspiration from the famous dice type of games most Ethereum casinos feature. You pick the bet you would like to make, and your chances, and according to the result you may win or lose. Keep in mind that it is a card game so make sure you thoroughly understand how it works before you dive in. There is a PDF file to help you answer any questions you may have. This platform may be still in development, but from what we can see as far it seems very promising. 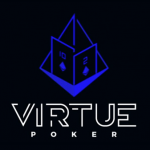 Virtue Poker will revolutionise online cryptocurrency poker platform in which there are no intermediaries; not even the code is run by the company’s server. Each player will run their corresponding piece of code, and many safety measures have been taken into consideration and thus implemented into the system. Each time a player buys-in a table, places a bet and leaves the table, the funds are checked by the system to ensure there is no shady business going on. All funds are temporarily held in a safe escrow account from the moment someone joins and plays on a table up until they decide to leave. Once fully developed, the casino will be completely safe and trustworthy – two of the most prominent WSOP players in the world have been working on the platform, and they appeared in Virtue’s Poker public relations. For a casino like this, the payout system should be high-speed, hence Ethereum was the best cryptocurrency to go with. Remember when we talked about “dice” games and Ethereum? Yeah, this one of the many you can find on the Internet based on this particular kind of game. As soon as you visit their website, you will be presented with a beautiful and elegantly designed interface. 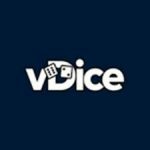 As opposed to most regular dice games based on the popular cryptocurrency, vDice’s will not allow users to adjust their chances on their own will, but it will let them choose from a list of possible games with predefined winning odds. Users just have to send an amount they wish to bet to the address of the game they play. And, if they win, they will be immediately credited with their earnings. If they lose, the casino will only get back 1 Wei – which is the smallest denomination of Ether (Ethereum’s currency). It is like a Satoshi if we are talking about Bitcoin. Furthermore, the developers are currently working on a mobile app so players can enjoy their favourite dice game on the go via a smartphone or tablet! This casino is exactly what it sounds like. When you visit the site, you will see the current jackpot amount, and if you scroll a bit down, you will see a board filled with numbers ranging from 000 all the way to 299. These are the possible ticket numbers you can buy for the current lottery. You can only buy up to 5. What is very interesting about this particular Ethereum game is that instead of using Ethereum’s blockchain it runs the Bitcoin blockchain. The main reason behind it is that the larger amount of time that can be drawn from each lottery. Of course, the casino also provides the source code so players can always be sure that everything is entirely randomised and the winners aren’t preselected, or another wrong thing of that nature is going on behind the game. This casino is similar to Ethereum Lottery when it comes to the basic rules. The smart contract (think of it like the source code on which a program runs) is provided on their homepage so you can take a look at it to ensure it is entirely fair, should you have any hesitations or nasty thoughts. Instead of it being based on Bitcoin’s blockchain, it indeed uses Ethereum’s. 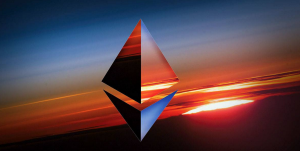 Another significant difference between the two Ethereum lotteries is that in ETH93 there is no cap on the number of tickets an individual may purchase. Of course, that means a chance of winning gets bigger, but it could also say it gets much smaller based on what other players may decide to do as well. However, as more and more tickets are being bought so does the jackpot increase. But do they keep all these extra money? No, only 93% goes out to the winner. 1% is sent to the token holders, 1% is saved from the site, and the very generous remaining 5% goes to charity, Heifer International to be exact. The casino combines gambling with charity, and that’s why they are one of the best Ethereum-only casinos that exist. 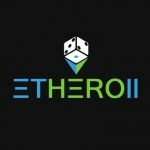 Next up is Etheroll and even though the project is still in development that doesn’t mean many players haven’t started betting money on the site’s game. On their site, you will encounter the regular dice game where a player can set your “own” rules, always up to a certain point. Although, Etheroll isn’t like the other Ethereum-only casinos you may find online as there is no registration process. Users can use a specific browser like Mist, or a program such as Metamask, and through each of these, they can connect an Ethereum cryptocurrency wallet to the game. So each time players win, their earnings are instantly transferred – hassle-free with no any unneeded delays whatsoever! As it was expected from an Ethereum online casino, a smart contract is also available to you should you wish to take a look at it. The site also offers a loyalty program where users can buy a digital form of cryptocurrency called DICE token. Based on the amount players have bought, and the number of games they have won, they will become eligible for some extra rewards. It’s an unusual feature, and Etheroll deserves a handshake for that alone. To be honest, the casino is definitely one of the top Ethereum-only casinos. If we had to go with only one of them, I would probably choose Virtue Poker. Even though, it is still in development. But if you have a look at their promotional videos and various interviews regarding the platform’s launch then I am sure you would completely agree with me. However, they won’t launch until at least mid-2018. These are the top Ethereum-only casinos you can find for online gambling. After the extensive research, we came up with the seven best we could find. Have a look at each one of them and start playing on whichever you think suits your gambling preferences the best. 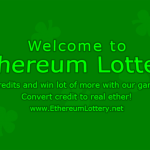 We wish you may win every Ether bet you make. Good luck on your future Ethereum gambling adventures!